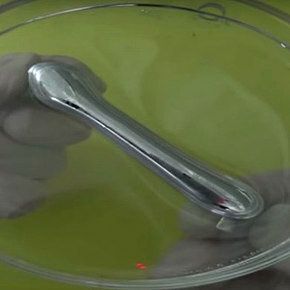 A liquid metal able to stretch in all directions and remain conductive could lead to a new generation of soft robotics. The metal was developed by a team at Beihang University, who lowered the surface tension of the metal by adding iron particles to a droplet made up of a gallium, indium and tin alloy submerged in hydrochloric acid. This caused a layer of gallium oxide to form on the surface of the droplet, resulting in a conductive, liquid metal able to stretch without breaking, even without being fully submerged.